Aiming for a start: City's Paudie O'Connor, right. LIFE as a loanee invariably involves learning the hard way about the ups and downs of football. Leeds United defender Paudie O’Connor has certainly had plenty of those during a season that will unusually end and begin playing for the same manager, but at different clubs. The 21-year-old Irishman spent the first five months of the campaign at Blackpool. He made 17 appearances, including two against Premier League Arsenal, but still left Bloomfield Road craving regular first-team football. His hope that a switch to Bradford City would do the trick has not come to fruition, O’Connor having unwittingly become a victim of the Football League rules allowing clubs to field just five loanees in a match-day squad of 18. 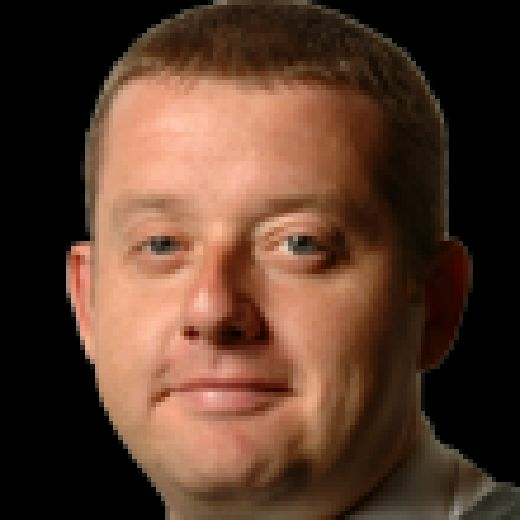 The Bantams’ tally of temporary signings was nudged up to six with Jacob Butterfield’s arrival on deadline day meaning someone had to miss out each week. Invariably O’Connor was the fall guy, leaving the Leeds defender in a philosophical mood. “I came in the next day, but it still had not really clicked that a sixth loan had come in. A couple of others were the same. “Then the first game came round and it was clear the choice was going to be between having no striker on the bench or no defender, something I had not really heard much about happening before at other clubs. “I realised several of the loan players were key players and playing every week. Lads like David Ball, Lewis (O’Brien) and ‘Payney’ (Jack Payne) were in the team. “George (Miller) is someone who also brings something different with his style of play. It was never going to be easy for the manager. “It is not like I could barge down the door and demand to know why I was not playing. He would have been able to point at them playing well. “Bit of a tricky one, but, for me, I just had to keep a professional head about me. Do the work on a Saturday morning if not involved, and hope my opportunity would come. “It has been juggled about a bit these past few weeks, but it is not ideal. Those, though, are the cards we have been dealt. O’Connor is used to overcoming setbacks, even in his short career. As a teenager he was part of the Limerick side relegated from the League of Ireland top flight in 2015. Twelve months later, however, he had helped the Super Blues bounce back at the first attempt, the title having been sealed with a mammoth six games still to play. A move to Elland Road followed in March, 2017, after a successful trial. He captained the Under-23s last term and made the bench for the first team against Newport County in the Carabao Cup, but it was current Bradford manager Gary Bowyer who gave the defender his first taste of senior action with Blackpool on the opening day of this season. Then, though, came one of those setbacks that O’Connor has become used to handling. 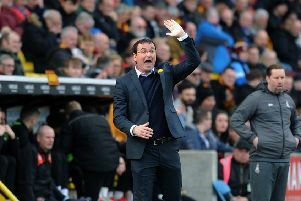 “It was a shock when the gaffer left just one game into the season,” he recalls about Bowyer’s decision to walk out of Bloomfield Road. “I won’t lie about that. We went to Wycombe on the opening day and did well, getting a 0-0 draw. “That was a decent result. But then we came in Monday morning and he had handed in his resignation. A bit of a shock. “But the boys rallied round under Terry McPhillips. There are a few very good senior pros, lads like Jay Spearing and Mark Howard. “Between them all they have kicked on. The team Gary assembled at the start of the season has shown itself to be well capable of playing League One football. O’Connor’s 17 appearances for the Seasiders included just seven starts in League One. He did, though, start both cup defeats to Arsenal, his season of ups and downs being perhaps typified by scoring at the Emirates in the League Cup encounter only to then be sent off in the final stages. Having made just his second start in City colours last weekend in the 1-0 defeat at Charlton Athletic, he is determined to make up for lost time. “Doncaster is a big game for a lot of reasons,” said the loanee, who was part of the Blackpool side that knocked Rovers out of the League Cup at the Keepmoat in August. “They are near the top and going towards the play-offs. Malik Wilks, O’Connor’s former team-mate with Leeds’s Under-23s, will be hoping to maintain his own impressive year on loan with Rovers. The forward has netted an impressive 15 goals this term, including 13 with his left foot – a tally beaten in English football by just Liverpool’s Mo Salah and Jarrod Bowen of Hull City. O’Connor’s return to Leeds in the summer could come with his employer as a Premier League club. Bradford, meanwhile, may well be kicking off the 2019-20 campaign in League Two. 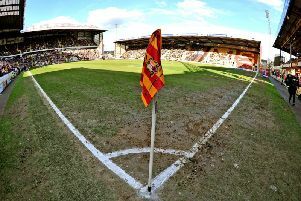 That, though, does not mean a return to Valley Parade is beyond the realms of possibility.